Should you get a long-term mortgage? Two in five first-time buyers in the UK who bought in 2017 will be aged over 65 when their mortgage term ends, according to new data from the Financial Conduct Authority (FCA). This means that some homeowners could expect to continue paying off their mortgage even after they hit retirement age. The figures also show that the average mortgage term has increased overall, with 34% of all new mortgages now lasting longer than 30 years, compared with 20% in 2007. Here, we look at the impact of taking out a longer-term mortgage and whether they could be a suitable option for you to secure your home. If you need help finding the best mortgage for your financial circumstances, get expert advice by calling Which? Mortgage Advisers on 0800 197 8461. An increasing number of first-time buyers are opting for long-term mortgages (30 years or more), meaning that many will still be paying off their loan when they retire, according to findings in the FCA’s latest Sector Views report. The results showed 40% of all borrowers who took out a mortgage in 2017 will be aged over 65 before they pay off their loan. These buyers are likely to be repaying their mortgage throughout their working life and into the first years of their retirement, which could negatively impact their pensions and retirement savings. 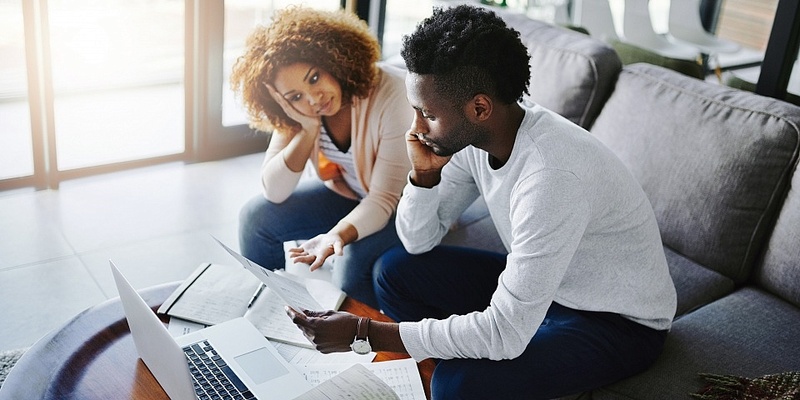 A number of factors are driving the push towards longer-term mortgages, including subdued earnings growth, changing working patterns, increasing household debt and lower savings rates. Higher housing costs, particularly in London and the South East, are causing buyers to rent for longer as they struggle to get onto the housing ladder. When these buyers do finally secure a property, they tend to be older and have an increased chance of borrowing into later life. The chart below shows the average age of borrowers when their mortgage reaches the end of its term. Mortgages lasting 30 years or more have been available for a long time and their share of the market has increased over the last decade. Using data from Moneyfacts, we’ve identified all of the major lenders offering 35-year and 40-year mortgages for first-time buyers. It’s important to note that the following table is just an indication of the products that are on offer. Your ability to get a loan with such a long term will depend on your age and financial circumstances when making an application. How expensive are long-term mortgages? Generally speaking, you’re unlikely to stay on the same mortgage deal for three or more decades. In order to keep your mortgage as cheap as possible, it’s advisable to switch deals before your loan reverts back to your lender’s standard variable rate. To illustrate the potential cost of long-term mortgages though, we’ve created a scenario that assumes you’ll be on the same deal for that length of time. The example below is based on a £200,000 mortgage with no product fees and we’ve calculated the overall interest (APRC) at 4%. The first column shows how much your initial monthly repayments will be, while the second shows how much you’ll repay in total over the life of the loan. While taking out a longer-term mortgage could make your monthly repayments much cheaper, overall, your loan becomes significantly more expensive. Try our mortgage repayment calculator to work out how much you could be paying for your mortgage each month. Whether you should go for a long-term mortgage deal will depend on your personal circumstances. You’ll also need to consider how quickly you’d like to repay your mortgage. If you’d prefer to have lower monthly repayments and don’t mind taking longer to pay off your loan, then it’s worth considering mortgages terms of 35 years or more. Bear in mind that you’ll also need to fall below a lender’s age criteria to be eligible to apply for a long-term mortgage. You should also consider how repaying a mortgage over the long-term will affect your ability to save for retirement. If you have the capacity to take on higher monthly repayments and want to clear your mortgage debt sooner rather than later, it may be better to explore shorter mortgage terms with the flexibility of paying off your loan earlier. If you need help figuring out the best type of mortgage to get, speaking to an impartial broker can help you identify the most suitable providers. We have a team of expert advisers on hand to assist you in finding the best mortgage deals based on your financial and personal circumstances. Simply call Which? Mortgage Advisers on 0800 197 8461 or fill in the form below for a free callback.